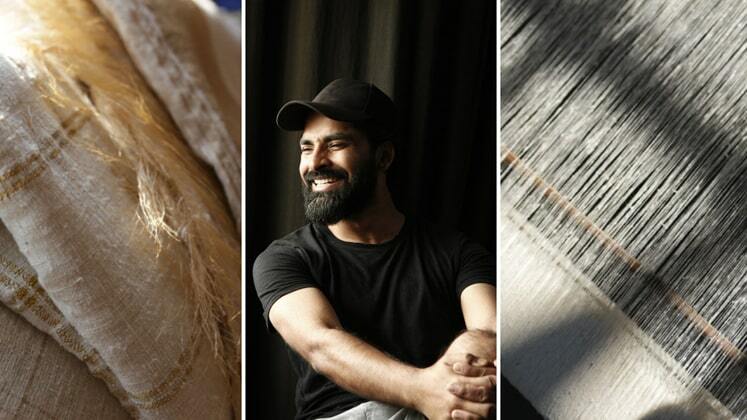 Ujjawal Dubey has collaborated with Raymond, on a one-of-its kind collection for his label Antar Agni. The collection set to focus on the sustainable development of Northeast India will be revealed during Lakme Fashion Week in Mumbai, 30th Jan to 4th Feb 2019. “Each fabric has a story to tell and working on the fine silks of Assam has reignited our love for beautiful textiles. We have incorporated colour with a subtle mix of neutrals like ivory and greys along with a pop of greens and citrine.” Ujjawal Dubey shared in a release. The line aims to strengthen the livelihoods of these artisans by providing them with development support and market linkages.